Did you know you can print from your laptop? March 20th, 2015 by elena | Comments Off on Did you know you can print from your laptop? Did you know that you can send print jobs from your laptop? You can print from your own PCs / Macbooks laptop, via the UBCSecure wireless network, to our library printers. 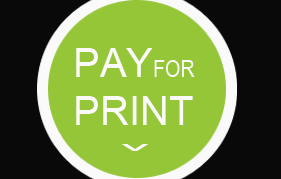 For information to set this up, see Pay for Print for Students, Faculty, and Staff. Posted in printing, Slideshow | Comments Off on Did you know you can print from your laptop?